We’ve all been there. It’s that in-between time between lunch and dinner. It’s linner – or dunch. Either way, it’s not late enough to cook dinner but it’s late enough for the “I’m huuuungry!” cries to kick in. 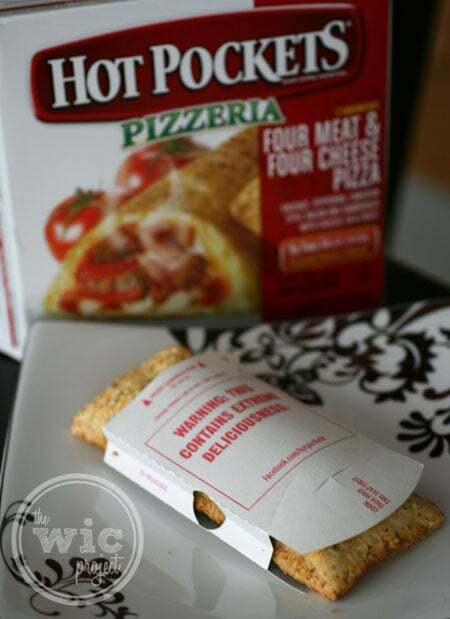 Fortunately, Hot Pockets offer a quick snack option that will satisfy hunger and tastebuds in a matter of minutes. 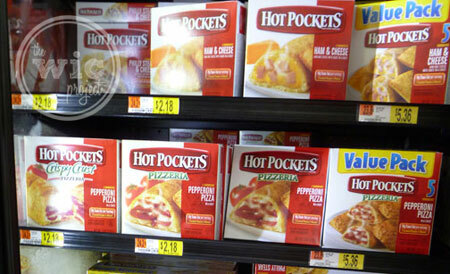 When I went to Walmart to pick up some convenient afternoon snacks, I was amazed at the variety of different Hot Pocket options. Hot Pockets can be found in the frozen aisle at Walmart, and I found a lot of them. From the “original” Ham and Cheese to their Pizzerias, there’s a flavor for everyone in the family. After much debate, we finally settled on two of their limited edition flavors – BBQ Recipe Bacon Burger, Chili Sauce Cheese Dog, and Four Meat & Four Cheese Pizza. Once I got the Hot Pockets home, it wasn’t long before someone was hungry. The first one up was the BBQ Recipe Bacon Burger. A quick two-minute sin the microwave and these were ready for enjoyment. They fellas devoured these literally in about a minute and declared them “Awesome!” They looked and tasted like gourmet sliders you might find in a restaurant, except they were made at home…in the microwave. Next, it was the Four Meat & Four Cheese Pizza. Hot Pockets aren’t just for kids. 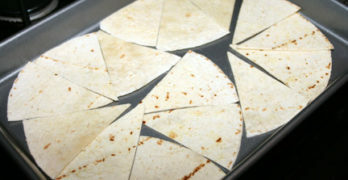 I’m a pizza lover and I just had to heat up one of these for a little afternoon kick. I was amazed at the flavors and how crispy the sleeve was able to make the outside of the pocket. As the pocket said, it had extreme deliciousness. 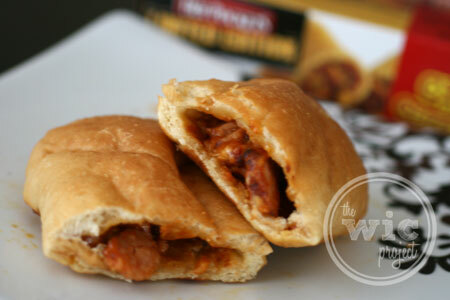 After the first two pockets, I was certain the Chili Sauce Cheese Dog Hot Pockets would be a hit. Sure enough, one afternoon, people were huuuuungry. I opened up a package and heated it up in the microwave for two minutes. The result? 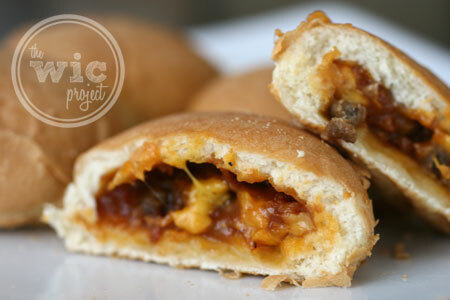 A toasty bun filled with everything you might want in a snack – pork dogs, beef, chicken, cheese, and chili. All three of these Hot Pockets were perfect for the afternoon snack. Hot Pockets are a great snack idea that is easy to make, tastes great, and is just enough to tide folks over until dinnertime. I’ll definitely be keeping a box or two of Hot Pockets in the freezer at all times for those afternoon hungries. Disclaimer: I am a member of the Collective Bias™ Social Fabric® Community. This shop has been compensated as part of a social shopper insights study for Collective Bias™ and Nestle #CBias #SocialFabric All opinions are my own. They do have a ton of flavors – chili sauce cheese HOT dog! They are a nice option to have on hand. That chili cheese dog flavor look yummmmmmmy!! I haven’t tried any of those limited edition Hot Pockets yet – but they all look so yummy!!! !